Following the smashing success of their 2016 Canadian comedy tour, London’s 3-time IMPRESARIO award-winning comedians James & Jamesy return with their outrageously funny and brilliantly inventive Christmas comedy O Christmas Tea. When catastrophe strikes at James and Jamesy’s Christmas tea party, flooding the world with tea, the friends leap into action, finding innovative and hilarious solutions to keep them afloat. 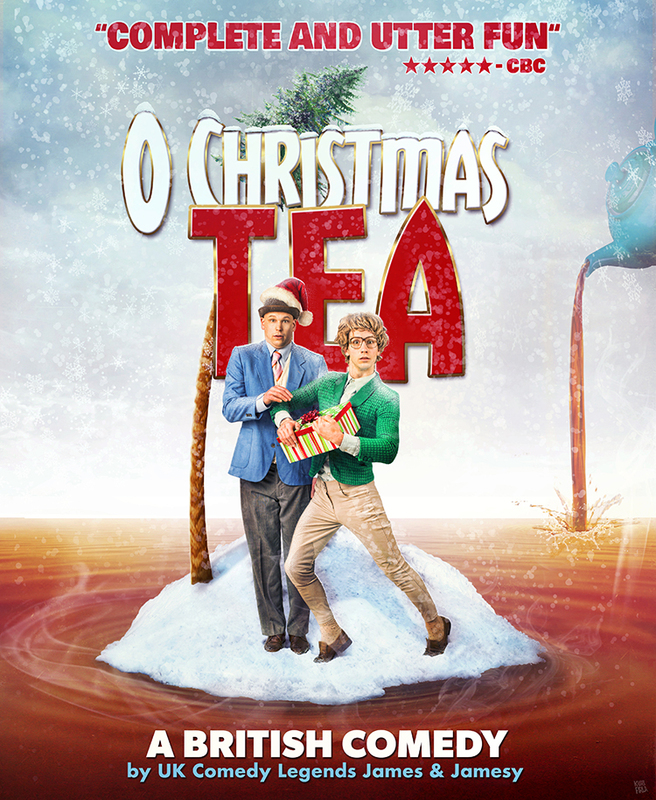 Redefining immersive theatre, these masters of physical comedy—with over 20 comedy awards to their name—sweep the audience out to sea in a jolly aquatic escapade brimming with whimsy, action, and ingenuity in a celebration of friendship at Christmas. Since 2013, more than 60,000 Canadians have relished James & Jamesy’s cheeky, laugh-inducing theatrics celebrated among children and adults alike. Hailed as “a child’s imagination on steroids” by London Free Press and “a masterpiece of physical comedy” by Theatre In London, critics rave for the charismatic James & Jamesy. A must-see performance on the international comedy circuit, the unstoppable duo, regarded as “one of the most popular fringe duos ever” (CBC), has been named Best of Fest (Orlando, Toronto, Winnipeg, Ottawa), Most Outstanding Show (London), Best Comedy (Victoria), Patrons’ Pick (London), among many other accolades.